Alpinestars’ 2019 Motocross Collection represents the pinnacle of innovation and technology, and this year sees us expand our range of products with the launch of two new exciting additions: the groundbreaking Alpinestars Supertech M10 motocross helmet and the new Tech 10 boot. 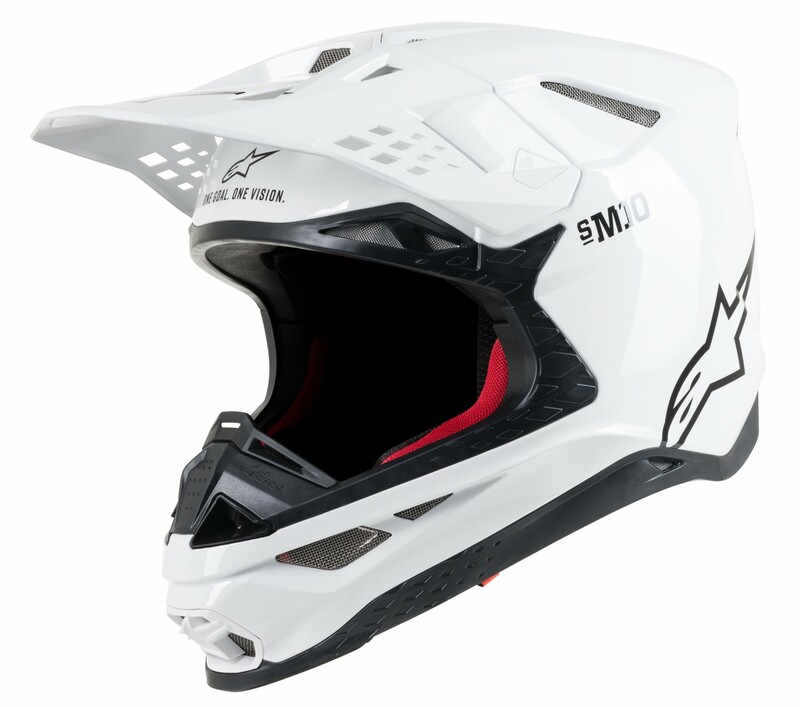 The result of over five years of intensive development and testing, the Supertech M10 helmet is the most advanced, protective, and performance-enhancing helmet possible. Lightweight, streamlined, reassuringly strong, and with a unique, patented visor release system and fitting height and angle adjustment system, the M10 is certified for worldwide use. 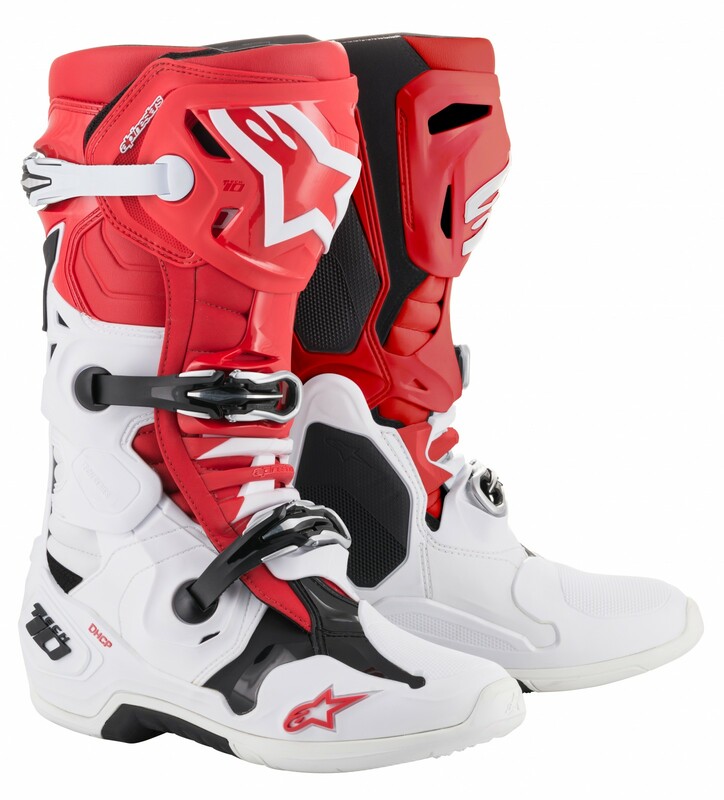 Click here for Alpinestars' list of products. The Tech 10 is the definitive motocross boot and has been completely re-designed this summer to raise the performance and protection envelope even higher. The boot may retain the Tech 10’s iconic styling, but represents an entirely new approach to give the rider optimum feel, comfort, and safety. Over 400 grams lighter and more comfortable to wear in any conditions, the Tech 10 boasts a wealth of impressive upgrades and unique technologies including new, easier-to-operate, more durable buckles, a Front Flexion Control Frame, Asymmetrical Dual-Pivot Arms, the patented Dynamic Heel Compression Shock Absorber integrated into a re-designed footshell, and a slimmer, more streamlined outsole. These products are bolstered by the new off-road race apparel ranges offering fresh, distinctive, and eye-catching colorways, as well as the performance, comfort, and durability you expect of Alpinestars.